An official Panepinto campaign photo. Marc Panepinto, the Democrat candidate for New York State Senate who emerged from his primary severely weakened by a narrow 300-vote margin of victory, is unsettling many members of his own party. While his election fraud conviction still creates much unease, his recent behavior has caused enormous tension within the Democrat organization. Most candidates, political observers say, attempt to unite their party — motivated by the practical concern of getting a broad coalition of supporters to vote for him or her in the general election. But rather than focusing on uniting his party, he has instead set his focus on overthrowing the current Erie County Democrat Chairman Jeremy Zellner. Seasoned operatives think that his time would be better spent meeting with his constituents and asking them for their support on November 4th. His campaign strategy worries many Democrats, who see Republican Kevin Stocker campaigning door to door in an aggressively grassroots way. Meeting with voters one-on-one at their doorstep is the ‘holy grail’ of local politics, so they wonder if Panepinto’s style will become his undoing. While Democrats’ frustrations with Panepinto continue to percolate the surface of the public discourse, local Republicans are already articulating their concern in a robust way. Insiders are not surprised that Panepinto is involved in the long planned overthrow of the current Democrat Chairman — which they intend to execute at the party’s reorganization meeting this Saturday. Indeed, he has been a key figure in driving the rift in his party for years. Almost all political observers are doubtful that voters will be able to ignore Panepinto’s past election fraud conviction when they cast their votes. Voters within the local GOP just rejected a dishonest incumbent politician, named Mark Grisanti, in a landslide victory for Stocker. Stocker formerly served as Prosecutor for the Village of Kenmore and the Town of Tonawanda. In 2003 he was named Prosecutor of the Year. 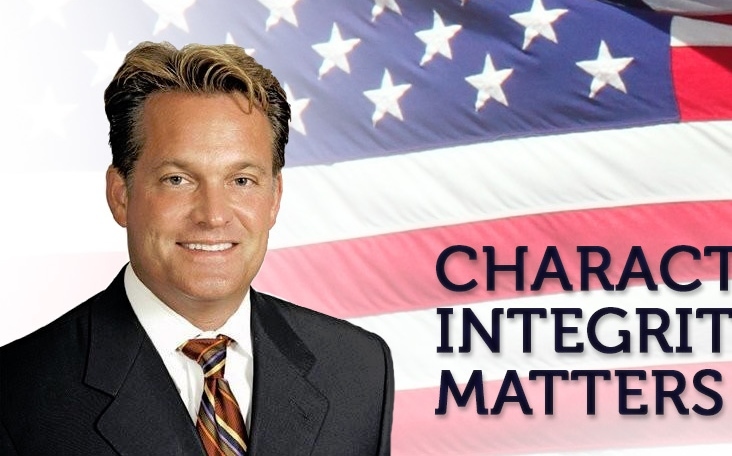 A primary campaign thematic for Stocker has been to ‘Restore Character, Integrity & Trust’ to the Senate. His supporters say that he will take the focus off of party politics, the political bosses, and special interests.